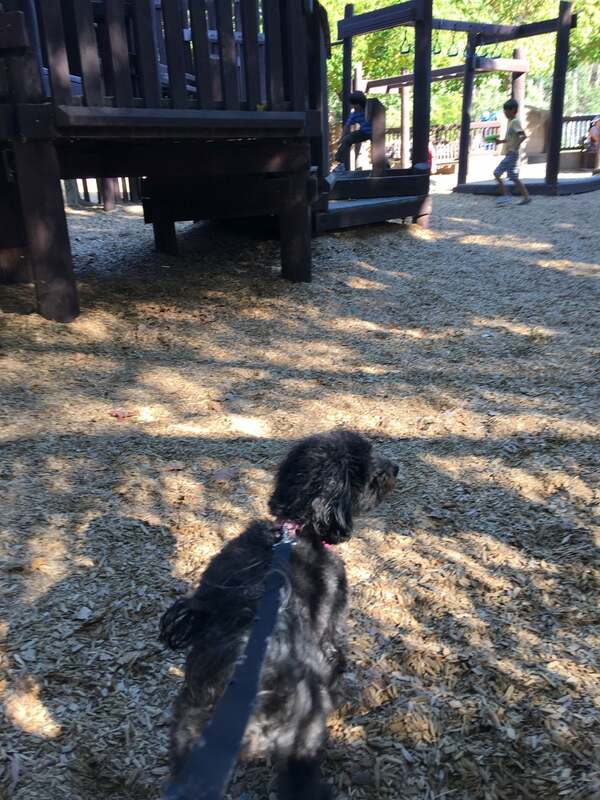 This awesome park contains a playground with two areas: one for toddlers and the other for big kids. However, the two ares are too far apart to watch both at the same time. This must see park is surrounded by hand painted tiles, an expansive lawn, soccer field, and a barbecue and picnic area. The tot lot has a train theme with wooden play structures. The big kids area for ages seven and up has a castle with towers to climb, slides, tubes to descend and bridges to swing on. 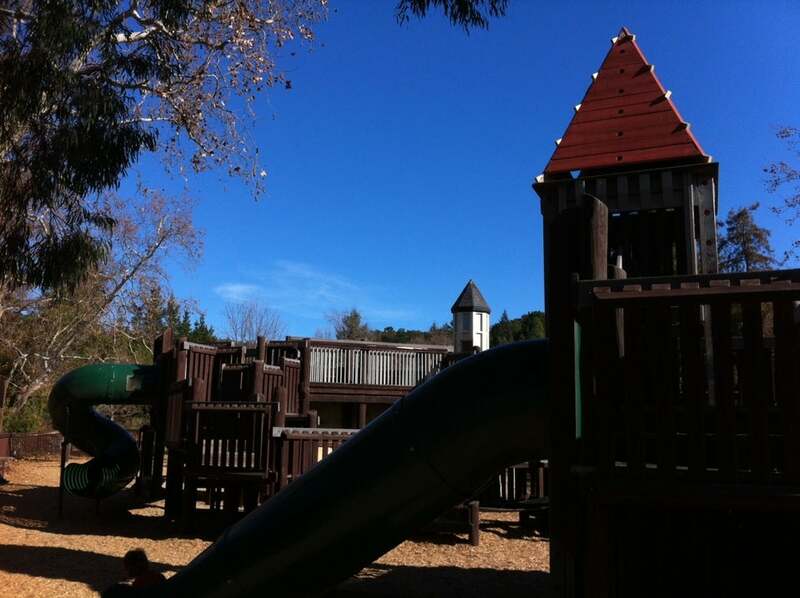 Amazing castle play structure with loads of places for kids to climb. Lots of picnic tables and BBQs and grassy lawn. This is a favorite playground.